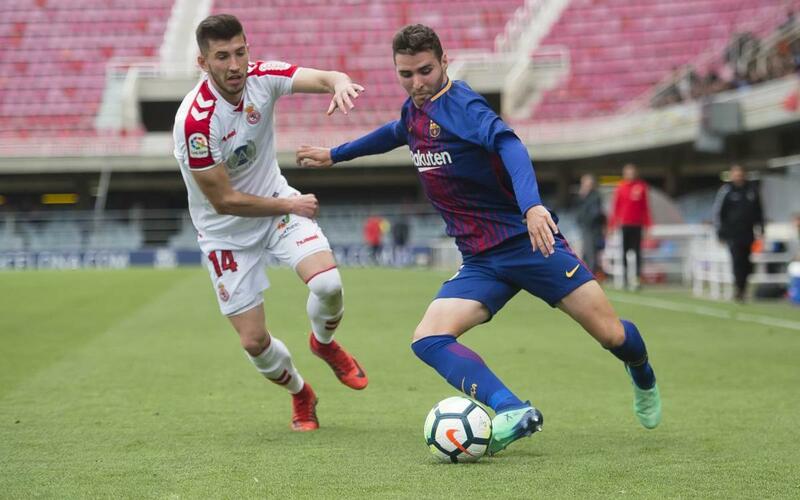 The Barcelona reserves had plenty of chances against Cultural Leonesa on Saturday, but it was the visitors who found the net for the only time in the match, and that was after just four minutes. A soft finish from Emiliano Buendía turned home a speculative ball into the area and Adria Ortolá was beaten in the first attacking move of the day, but led by a majestic Carles Aleñá, Gerard López’s side soon grabbed the reins of the match and went off in hot pursuit of an equaliser. David Costas almost headed in, and Aleñá and Monchu also had chances shortly before the break, but Leonesa stood their ground well at the back and occasionally threatened to double their lead on the counter attack. Barça B had most of the ball in the second half. Rivera sent an attempt brushing wide of the post, while Abel Ruiz failed to convert when one-on-one with the opposition’s goalkeeper. And so it continued. Aleñá, Badou and Palencia all fell short in front of goal and as the minutes ticked by, it became clear that this just wasn’t the B side’s day. The next game after this disappointing home defeat will be next Monday 16 April at 9.00pm CET in Huesca.